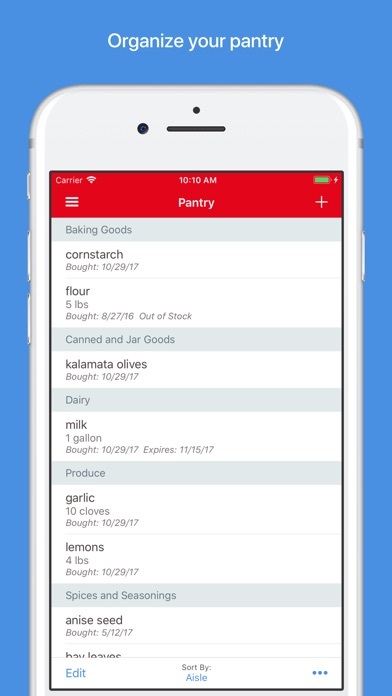 We have integrated with SiriKit on iOS 11, so you can now ask Siri to add items to your grocery list. For example: "Add milk to my grocery list in Paprika"
You can add multiple items at the same time: "Add butter, flour, and eggs to my grocery list in Paprika"
You can add items with a quantity specified: "Add 1 cup brown sugar to my grocery list in Paprika"
And if you have multiple grocery lists, you can also specify which list to add to: "Add eggnog to my Christmas Shopping list in Paprika"
Aside from Siri integration, this update also includes fixes for a few crashes and other minor bugs. Happy cooking! We have integrated with 1Password and iCloud Keychain to automatically save and load your account information when logging in. 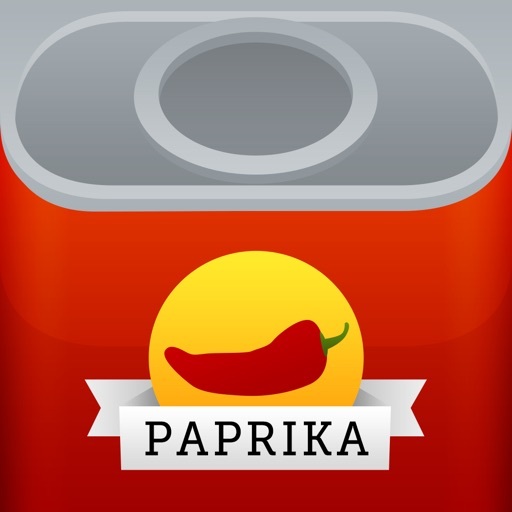 We have enabled support for 32-bit devices, so Paprika 3 is now compatible with older iPads and iPhones. We have collapsed the main menu on the 10.5" iPad Pro so it takes up less space. We have added support for dragging and dropping menu items so you can re-order them or easily move them between days. 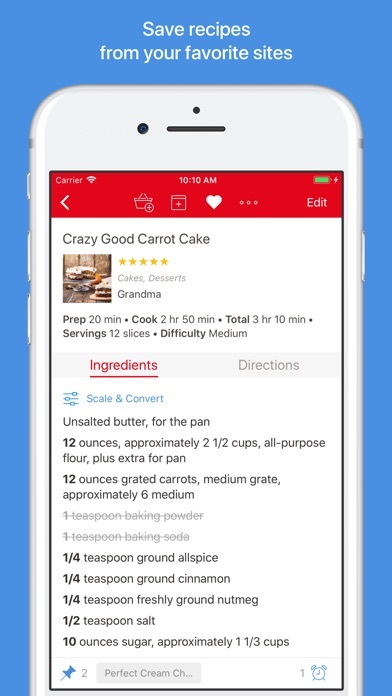 The ingredient scaler and grocery list will now process decimal numbers according to your locale. We have also added back a few features from version 2 that did not make it into the initial version 3 release. 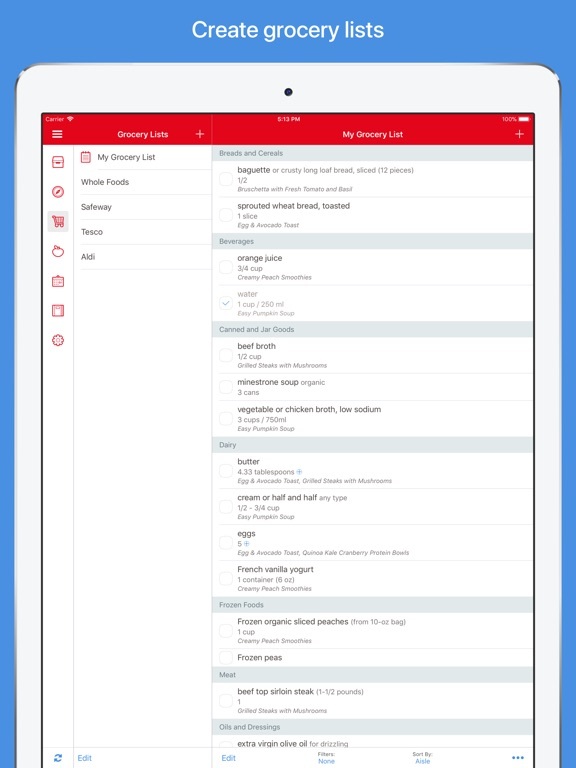 If you are in Safari, you can press the share button in the toolbar to bring up the share sheet, and then in the second row of icons select Paprika 3. (If you don't see Paprika 3, select More and enable it first.) 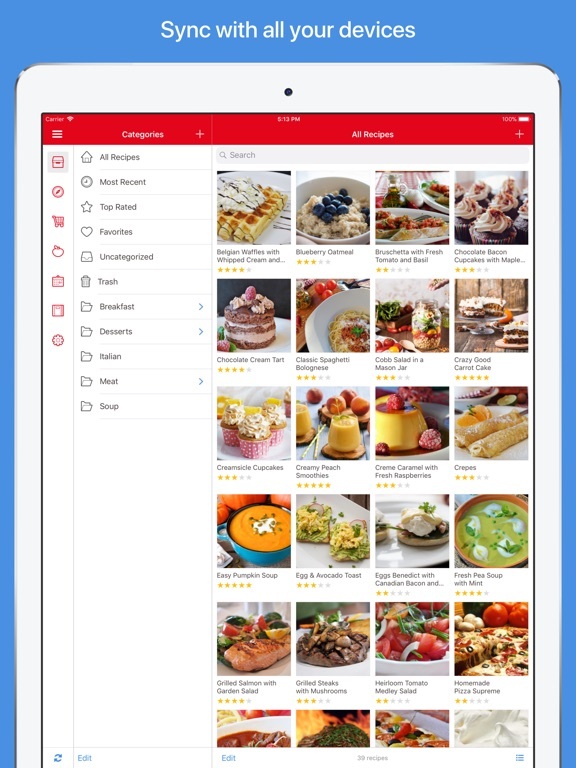 This allows you to save the recipe directly in Safari without having to switch apps. 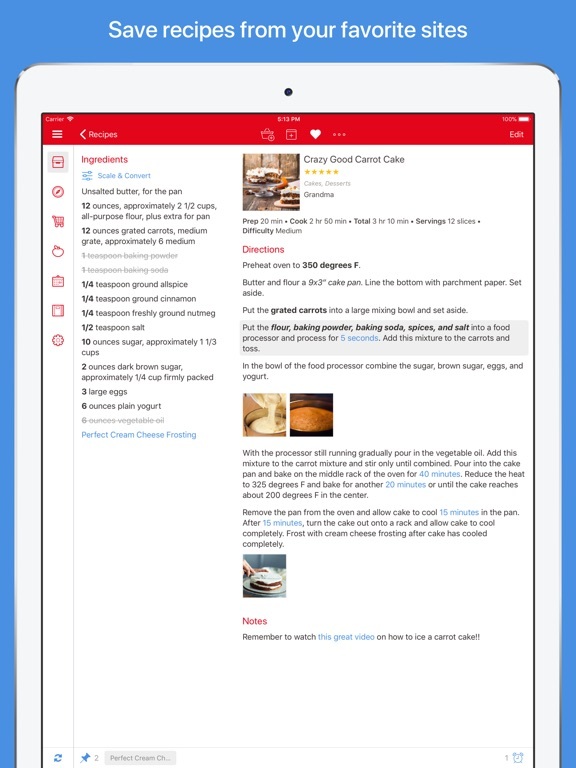 We have added back the share sheet so you can share a recipe link to Facebook, Twitter, or other apps. This is now accessed from the Share Link... button to make clear that it is the recipe link that gets posted, and is only enabled for recipes that have a Source URL saved. 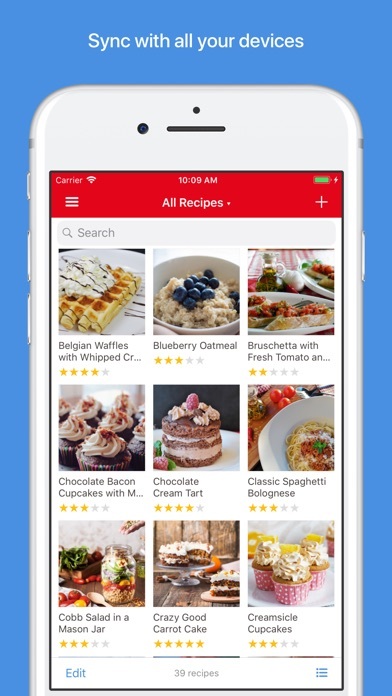 Added back the clear pinned recipes button. 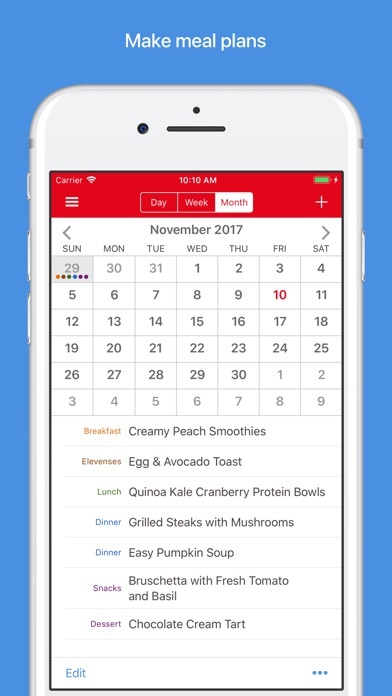 Added back the setting for the name of the Calendar that meals get exported to. 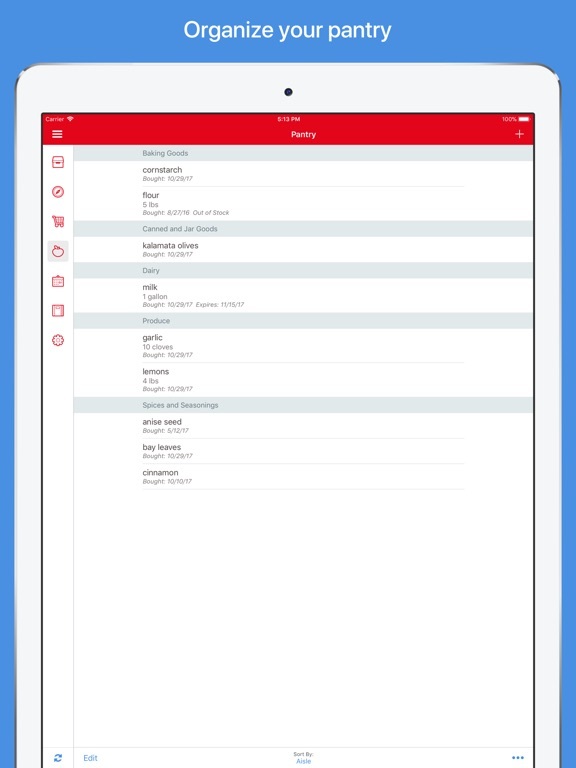 Added back the option to swipe from the left edge to bring up the navigation menu. Fixed detection of times in certain languages such as German. Fixed several issues with scaling and converting ingredients. Fixed recipe difficulty not getting translated properly in certain languages. 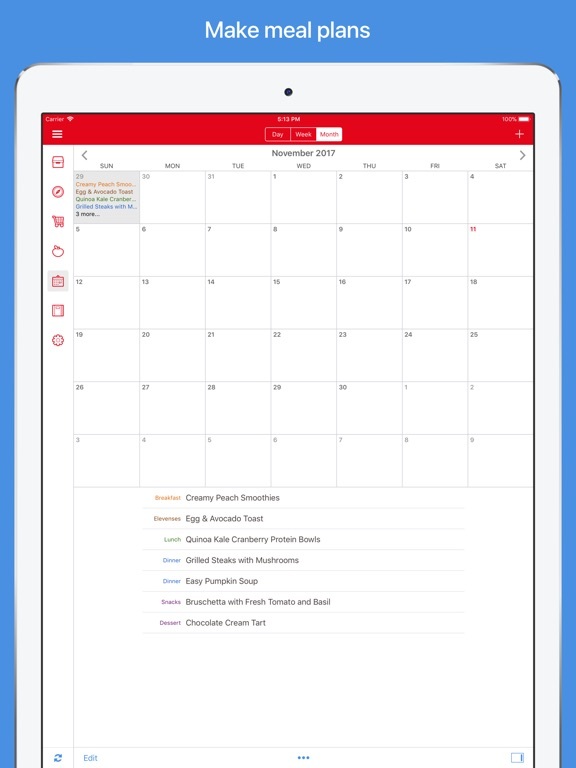 Fixed the ability to swipe to delete a meal from the month view. 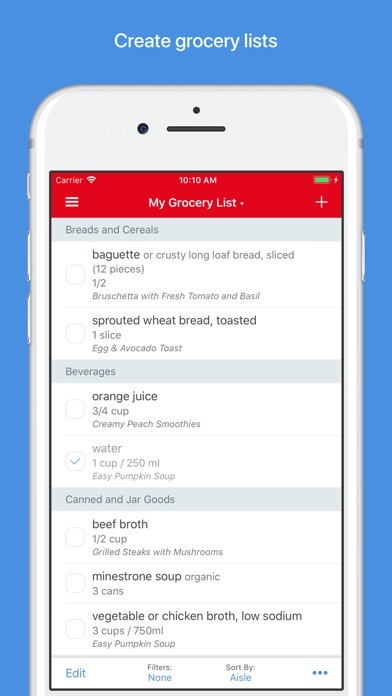 Fixed the ability to swipe to delete grocery items that belong to a particular recipe from the grocery list. Fixed the sort order of meals that were originally created in version 2 and synced over. Fixed many other potential crashes to improve the stability of the app.